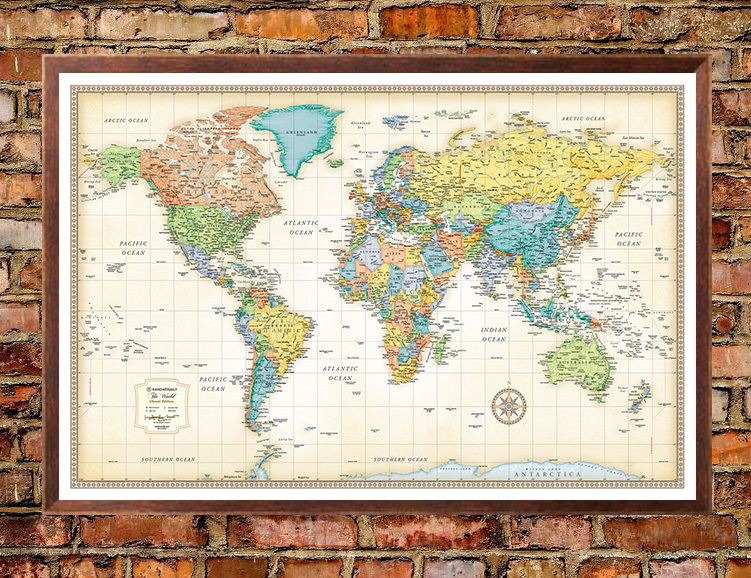 The Rand McNally Classic Edition World Wall Map 32×50 poster is available Laminated, Peel n’ Stick, Railed or Framed. 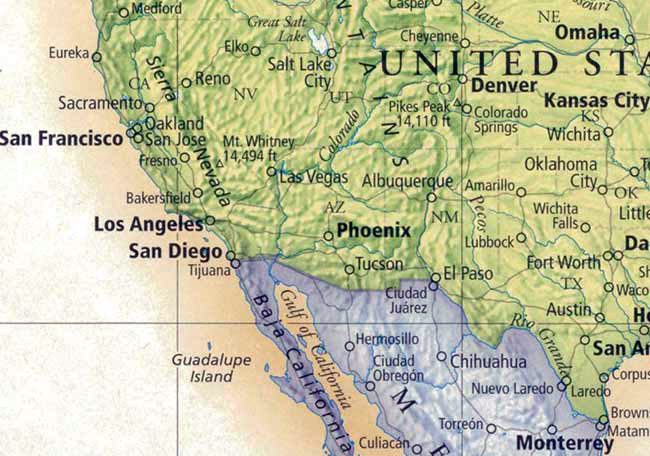 Enjoy the accuracy and detail of Rand McNally Series of World and USA Wall Maps. 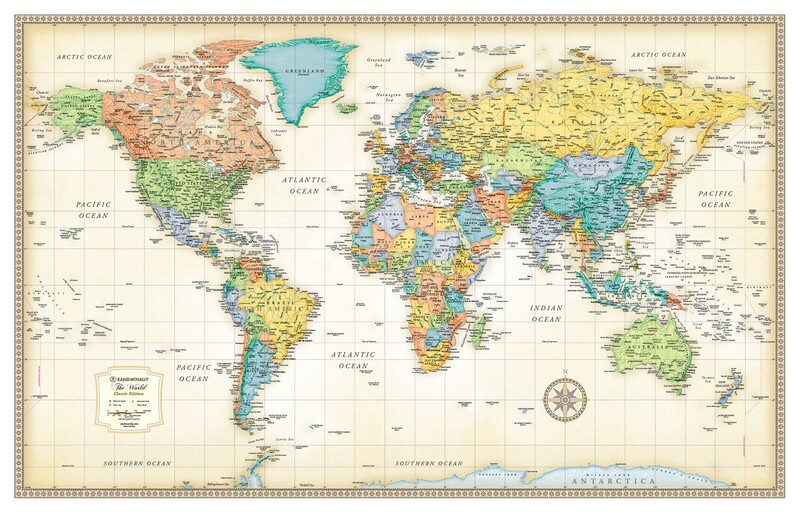 The Rand McNally Classic Edition World Wall Map Poster includes parchment like paper and rich, subdued colors give this map a sophisticated old-world style while delivering the digital accuracy and extraordinary clarity you’d expect from any Rand McNally maps. 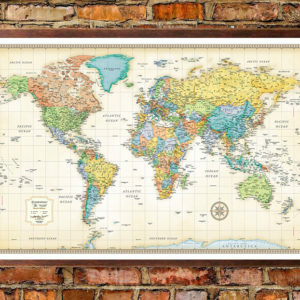 The Rand McNally Classic Edition World Wall Map is a perfect world map for framing and is sure to be a handsome addition to the board room, family room, or any room/office. 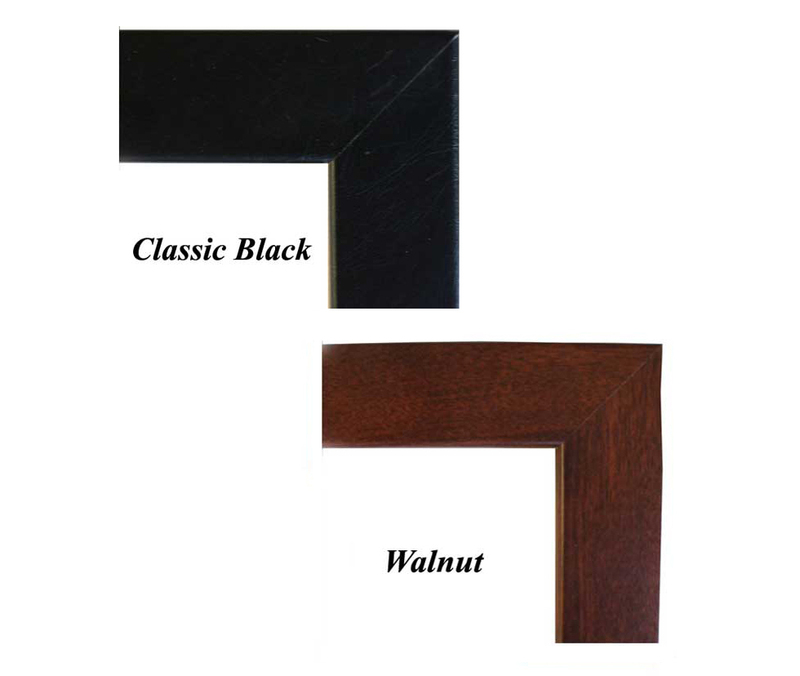 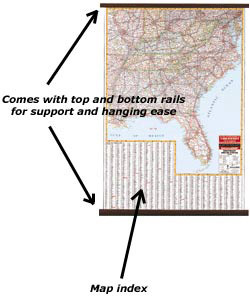 The Classic series maps are 32″ (h) x 50″ (w).